Buy Monkeyman Productions a Coffee. ko-fi.com/monkeymanproductions - Ko-fi ❤️ Where creators get paid by fans, with a 'Buy Me a Coffee' button. 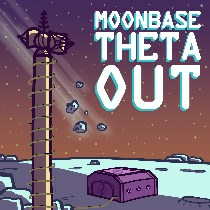 We're Toronto's geekiest media company, currently producing the audio drama podcast, Moonbase Theta, Out. Welcome! Thanks for your support of our sweet geeky content! Secured Payments. Support goes to Monkeyman Productions's account. Upgrade Monkeyman Productions to a yearly Gold Membership with a one-time payment.